Choose one of these tours and book right away. That easy! The tour kicks off daily at 10:30am . This is a great ride for everyone being 80% off roads on safe bicycle lanes and parks. 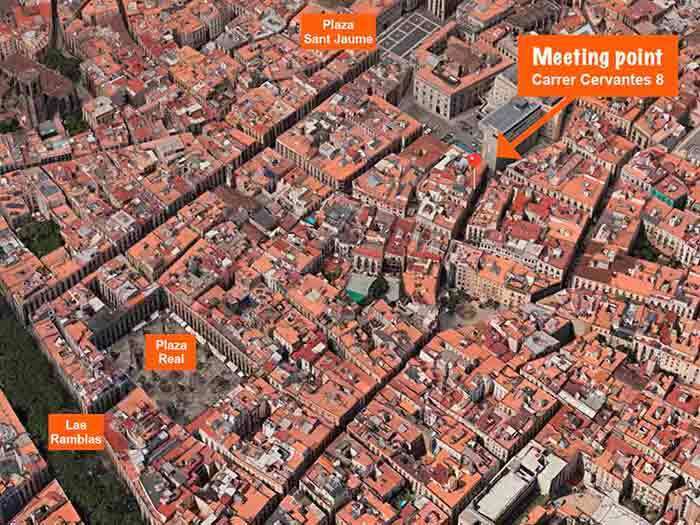 You get a great orientation of Barcelona and it’s iconic sites. 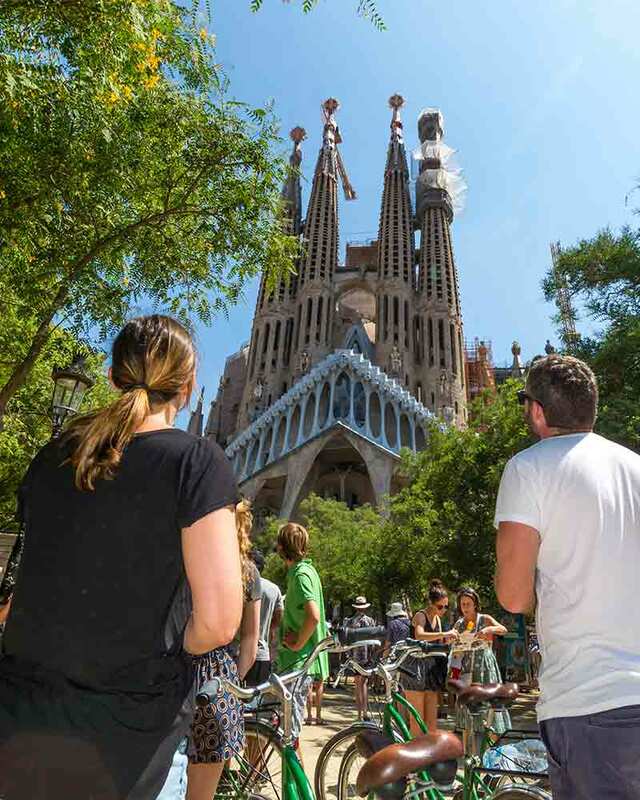 Besides seeing the best parts of the city, we will gain an insight of Barcelona’s daily life, discovering some aspects of the city which tourists normally don’t get to see. E-bike upgrade option and child discounts. and of course the Magic Fountain. Of course you will see a lot of Barcelona on the route such as the beautiful Eixample and parts of the Gothic Quarter. 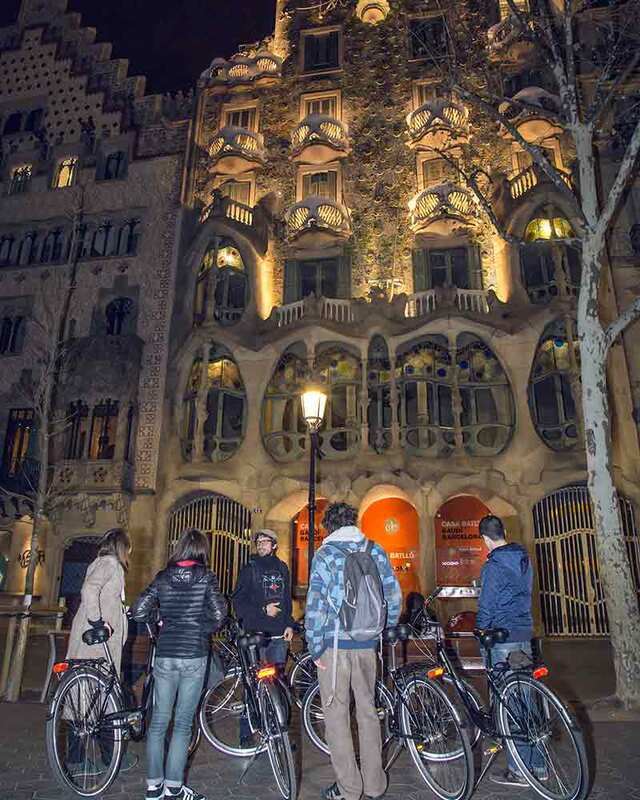 This tour will give you a Spanish night to remember, giving you a special perspective of the city. 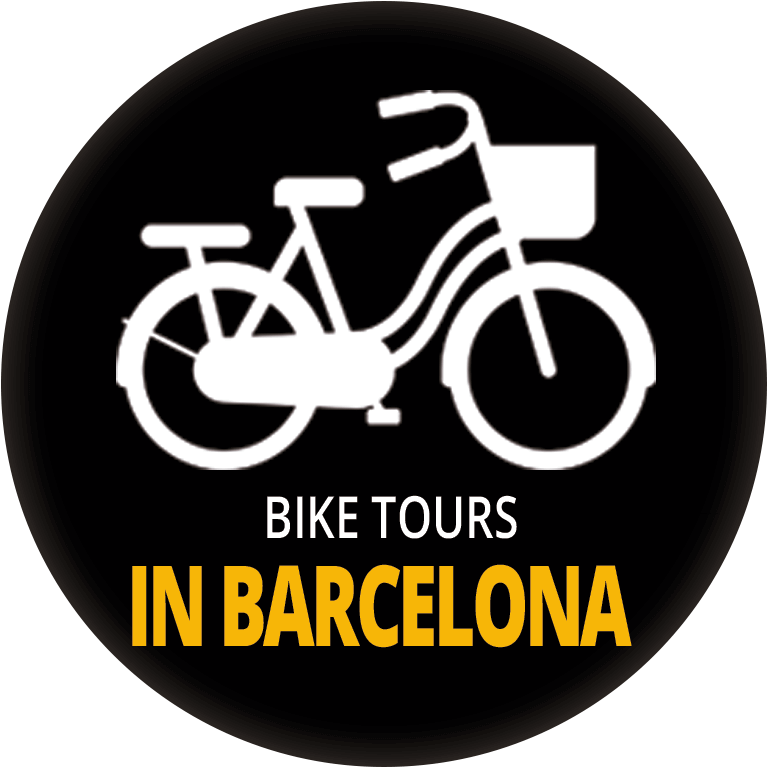 So come and spend an evening cycling the streets of Barcelona to visit some famous sights after dark and enjoy the shows of light, water and music at the Magic Fountain. and many beautiful views of Barcelona. This is possible our favorite bike tour anywhere ever! 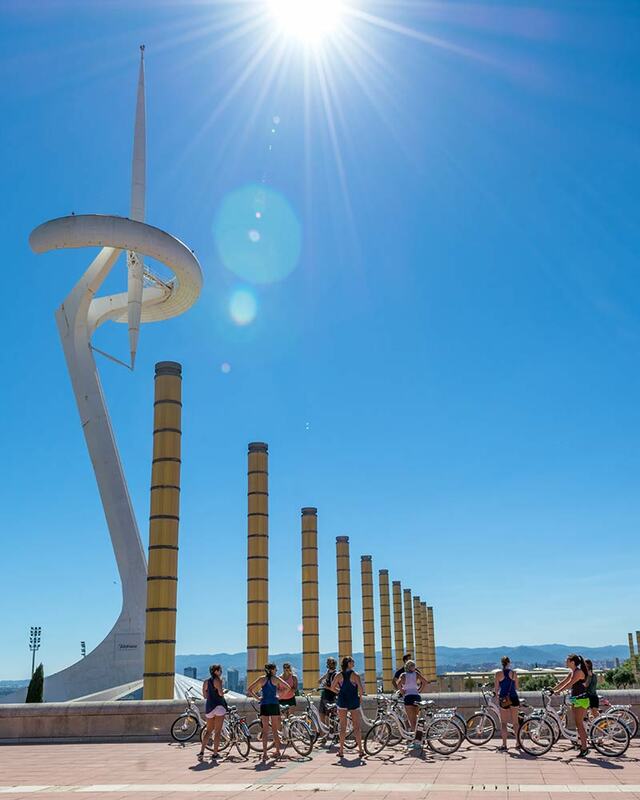 History, sport, nature and amazing city views from almost 200 meters above. 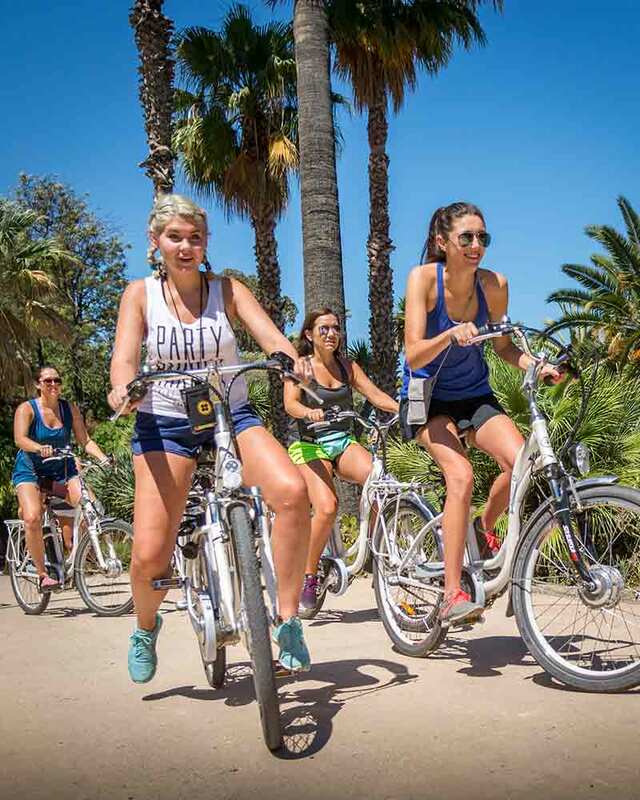 This tour has opened up so many new places for us to visit as we don’t have to worry about hills because our e-bikes help us do the climbing. 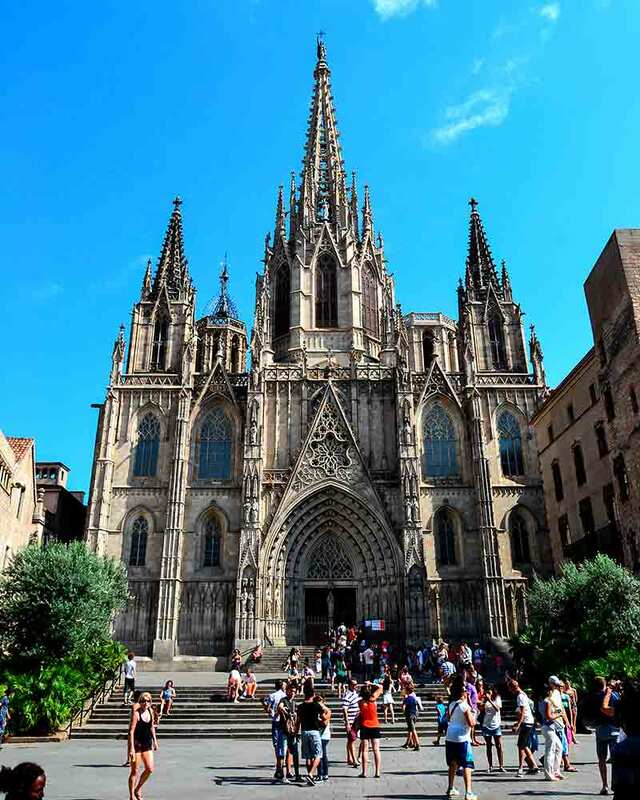 Gotico is the heart of Barcelona. Thousands of years of history, and one of the most intriguing neighborhoods in Europe. This is a pay what you like tour. 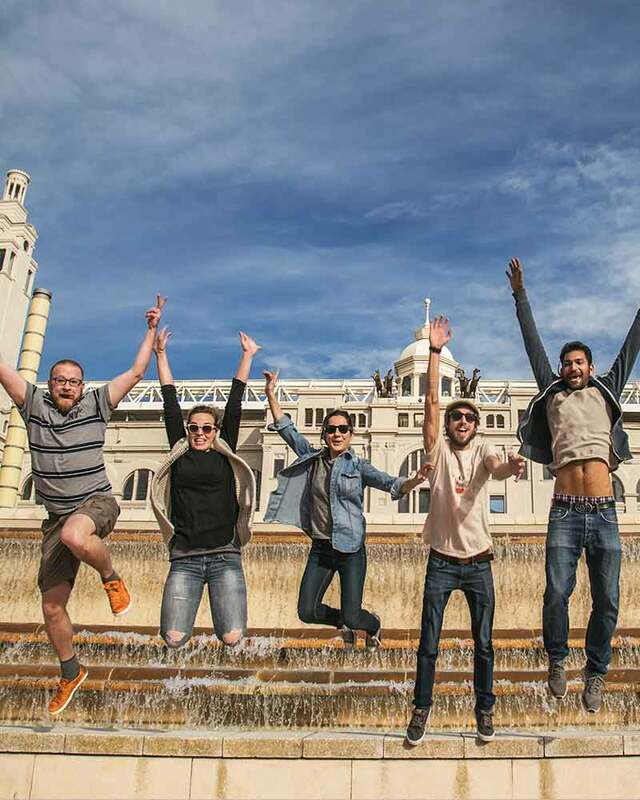 Which means we have to give you the best possible walking tour to keep you entertained and earn your appreciation right till the very end.